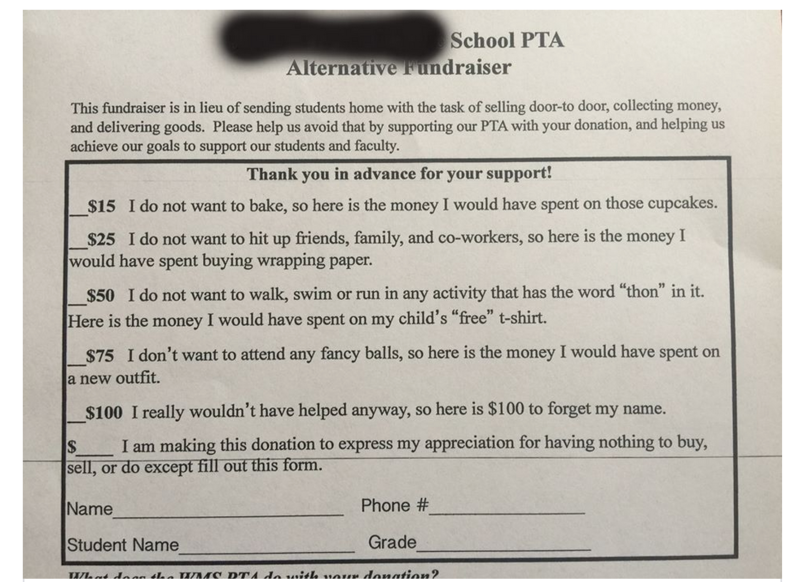 This amazingly funny and honest PTA form from a Middle School in TEXAS went viral this past week. Why? 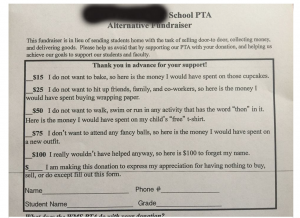 Because it struck a nerve with so many of us who understand that time is a valuable resource and sometimes, if you have the means, the easiest way to support your children’s school is to simply make a donation. SchoolBee is making Armchair Fundraising like this even easier with SchoolBee Pay, its new online payment system. It’s good for those who want to take a break from the cycle of buying the brownie mix, baking the brownies (at midnight), selling the brownies, buying back the brownies and then eating the brownies.